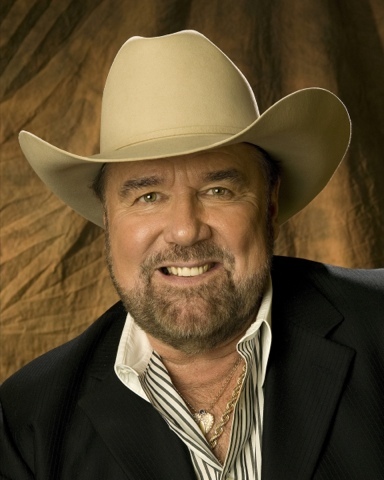 NASHVILLE, Tenn. (April 15, 2016) – Country legend Johnny Lee, known for his dynamic stage presence and smash No. 1 crossover hit "Lookin' for Love," will release his first studio album in 10 years, You Ain’t Never Been to Texas, June 3. “I’ve been holding on to some of these songs for years and wanted to wait until it was just the right time to release You Ain’t Never Been to Texas. We’re on the road more than ever and I’m blessed because of that, so I wanted to give the fans some new music that I really think they’ll enjoy,” Lee said. Fans are still transfixed when Lee belts out his 1980 hit "Lookin' for Love," which became a crossover hit spending three weeks at No. 1 on the Billboard Country Singles chart while also appearing in the Top 5 on the Billboard Pop chart and Top 10 on Billboard's Adult Contemporary chart. In addition to "Lookin' for Love," Lee had a string of hit No. 1 songs reach the top: "One in a Million," "Bet Your Heart on Me,” "The Yellow Rose" (a duet with Lane Brody and the theme song to the NBC TV-series of the same name) and "You Could Have Heard a Heartbreak." Lee’s other major hits include "Pickin' Up Strangers," "Prisoner of Hope," "Cherokee Fiddle," "Sounds Like Love," "Hey Bartender," "Rollin' Lonely," and "Save the Last Chance." For more information, visittheofficialjohnnylee.com or follow him on Facebook andYouTube. April 21 Grand Ole Opry - Nashville, Tenn.
April 23 Thunderbird Casino - Norman, Okla.
May 01 Stagecoach Country Music Festival - Indio, Calif.
May 02 Hitching Post - Apache Junction, Ariz.
May 04 The Maverick - Tucson, Ariz.
May 05 Museum Club - Flagstafff, Ariz.
May 07 Civic Center - Truth or Consequences, N.M.
May 18 American Bandstand Theater - Branson, Mo. May 19 Rollie's - Sauk Rapids, Minn.
May 20 Corn Palace, Mitchell, S.D. May 21 7 Clans Paradise Casino - Red Rock, Okla.
June 24 Seven Feathers Casino - Canyonville, Ore.
June 25 Seven Feathers Casino - Canyonville, Ore.
July 30 Truman Lake Opry - Tightwad, Mo. Aug. 04 Winnemucca Convention Center - Winnemucca, Nev.
Aug. 11 Cherokee Casino - South Coffeyville, Okla.
Sept. 10 Fall Festival - McLeansboro, Ill.
Sept. 15 White County Fair - Searcy, Ark. Oct. 08 Howdy Neighbor Day - Jena, La. Dec. 10 Private - Conway, Ark. Dec. 16 Mohican Northstar Casino - Bowler, Wis.
Dec. 31 Sugar Creek Casino - Hinton, Okla.